I was in Paris last weekend on a romantic break with my boyfriend celebrating our second anniversary and seeing as I spend my life seeking out vintage I thought it might be nice to take a break from that too. Oh yeah, who am I kidding!? But I didn’t want it to dominate the weekend as that wouldn’t be fair on my not so thrift loving travel buddy. It was only an overnight stay, so I devised a plan which meant I could satisfy my urge to thrift but not let it take over the trip. A 20 minute walk from the Gare du Nord. 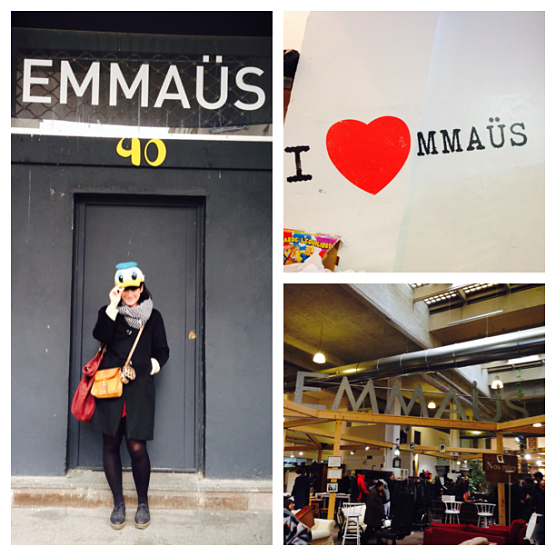 As we were travelling via Eurostar I did a little research around the Gare du Nord and to my delight discovered a very large warehouse version of the charity shop chain Emmhaus was only a 20 minute walk. Woohoo! After a 2 and a half hour train journey it’s actually quite nice to stretch the legs instead of heading straight down to the Metro – that’s how I sold the idea to my boyfriend anyway! 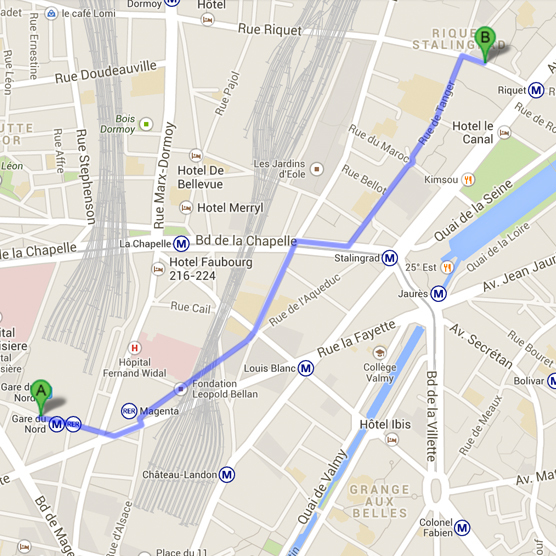 As you can see from my Google map above it’s also very close to the Riquet metro station if you don’t wanna walk it. All I bought was a daft Donald Duck hat. Oh well. What you have to remember is this is a charity shop and not a curated vintage store so it’s pot luck on what they have on the day. It is very much a best kept secret of the vintage loving locals though and I feel always worth the risk. My Parisian pals also tell me it is best to get there as close to opening as possible, which is 10am on the Saturday (closed on Sundays) and as the afternoon goes on it gets very busy and hustley-bustley. 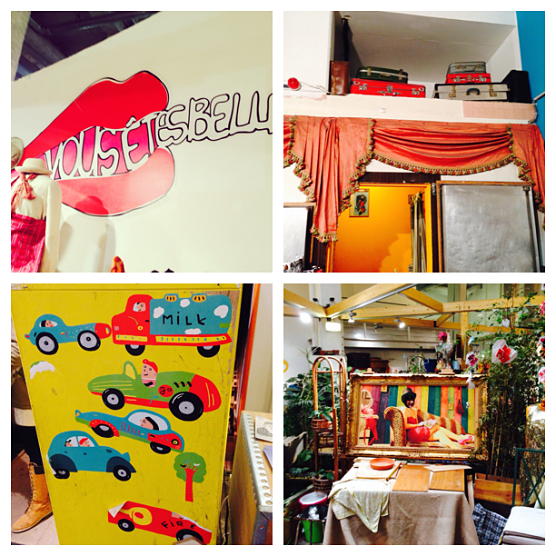 The warehouse is split into sections and my three favourite parts are the vintage, haberdashery and homewares areas. If you find something you like you must take it to the little counter in each area where they allocate you a ticket which you take to the cash register to pay. You also have to have this ticket again as you exit the store to prove you have paid for the goods. On this visit I did only buy a Donald Duck hat to add to my obsession of novelty snapback caps but hey that’s the way of the thrift! Hi, this looks great! do you know if its open during the week? I am only in Paris Monday-FRiday!! !